“B&B/Bed & Breakfast” means accommodation and inclusive breakfast. “Half Board” means accommodation and either breakfast and lunch, or breakfast and dinner. “Full Board” means accommodation, breakfast, lunch and dinner. “Child” is defined as a person under the age 12 years old at the time of the booking. 30% of total balance will be taken at time of booking to secure the reservation. 100% of total balance will be taken 30 days before your booking. By paying the deposit and/or balance, the guest agrees to the terms and conditions irrespective of whether or not the Booking Confirmation has been signed by the guest. The full balance must be settled 30 days prior to arrival. The final deadline to make any changes to your booking is 30 days before your reservation. Guests may check-in on the date of arrival after 4pm. Guests must depart by 11am on the day of departure. If the guest has not specifically requested exclusivity of the site at the time of reserving the booking, the client should be aware that there may be other residents at the site.  The client will be liable for the cost of any breakages during their stay at Newgale Lodge. Any damage incurred during the guest’s booking will be repaired, as arranged by the Newgale Lodge team, and the guest will be liable for the cost of the labour and materials. Or simply . . .